Hormone replacement is the key for many aging problems. Much research has been done in this area, and many articles and books have been published about this very important anti-aging and disease preventing therapy. Susanne Landgrebe, ARNP, has been a leader in the use of BHR for over fifteen years has many success stories. At 360 MedSpas, chemical peels are chosen for your specific skin type and skin care goals. We provide an advanced formulation of peeling agents, with built in anti-irritant and penetration enhancers. The peels provide controlled exfoliation of the uppermost, damaged layers of skin to reveal fresher, healthier skin. Medical peels are effective for those with sun damage, pigmentary changes, or mild acne scars. Chemical peels de-age the skin, stimulate collagen production, reduce fine lines and wrinkles, and improve overall skin tone and beauty. We offer The Perfect Peel and Illuminize, Vitalize and Rejuvenize and Vivite peels by SkinMedica. BELOTERO BALANCE® Dermal Filler is specially designed to integrate into your skin and mold to your distinct facial contours. By adapting to the individuality of your skin, BELOTERO BALANCE® softens lines and wrinkles around the nose and mouth for smooth and natural results that are uniquely you. BELOTERO BALANCE® is made of hyaluronic acid, a naturally occurring substance in your skin that helps to add volume and hydration. You’ll be radiant and glowing in no time with this dermal filler. Juvéderm® is a smooth consistency gel made of hyaluronic acid – a naturally occurring substance in your skin that helps to add volume and hydration. Your 360 MedSpas healthcare professional eases Juvéderm™ injectable gel under the skin to instantly restore your skin’s volume and smooth away facial wrinkles and folds, like “smile lines” or “parentheses” (nasolabial folds—the creases that run from the bottom of your nose to the corners of your mouth). Juvederm® Voluma XC, Juvederm® Ultra & Ultra Plus XC, Juvederm® Vollure XC, and Juvederm® Volbella XC. are FDA approved for several locations on the face & lips. Radiesse® is the newest innovation in dermal fillers. Developed with safety and longevity in mind, it offers superior versatility for both cosmetic and reconstructive use without surgery. The unique composition of Radiesse® provides immediate visual improvement common with other fillers, along with the benefit of long-lasting results. This is because Radiesse® is made of very tiny, smooth calcium hydroxyl apatite (CaHA) micro spheres. The micro spheres (particles) form a scaffold through which your body’s own collagen grows, and this produces the desired long-term effect. 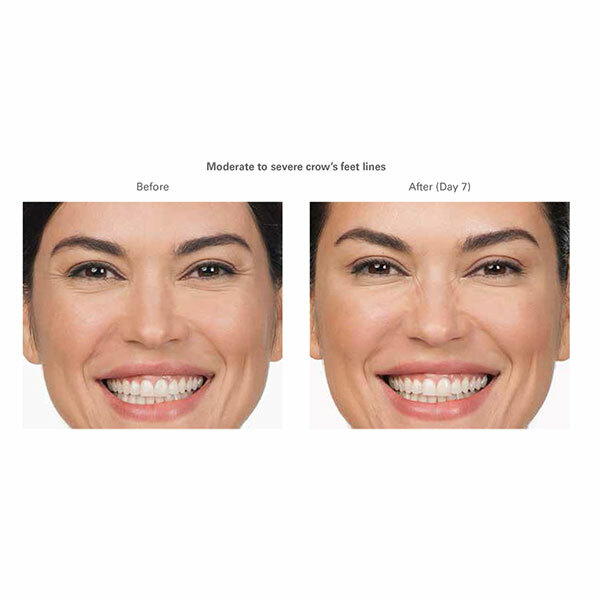 Restylane Dermal Filler is a hyaluronic acid filler, which is used to smooth away wrinkles and fine lines (Restylane& Restylane Lyft), create fuller and more accentuated lips (Restylane Silk), and add lift and volume to the cheeks (Restylane Lyft). All Restylane products work to enhance facial features and give long-lasting, yet non-permanent results. Ask your 360 MedSpas professional which option is the best for you! Medical Laser treatments are a new offering at 360 MedSpas. Medical laser treatments are used especially for spider vein removal, hair removal, tattoo removal, brown and red spots, as well as removal of medium veins on the legs and face. Botox® injections work by relaxing the facial muscles that cause your skin to wrinkle and furrow causing lines. Over one million people have been treated since it was approved by the FDA in 2002. Botox® is most the affordable and effective treatment for frown lines, crow’s feet and forehead creases. Dysport® is a prescription injection for temporary improvement in the look of moderate to severe wrinkles. This injectable treatment for wrinkles is made from the same neurotoxin (botulinum toxin type A) as Botox. Dysport® is similar to Botox, although some research suggests that Dysport® may be faster-acting and longer-lasting. It also spreads farther from the injection site, thus allowing a broader area of small wrinkles (such as the “crow’s feet” lines that splay out from the corners of the eyes). Xeomin® is FDA approved for use in adults with cervical dystonia and blepharospasm. Cervical dystonia is characterized by abnormal neck pain and movements, and blepharospasm is marked by abnormal, involuntary blinking or spasm of the eyelids. Xeomin® is manufactured by Merz Pharmaceuticals, and has been used by more than 84,000 people worldwide. It is now approved for use in 20 countries. Like other drugs in this category, Xeomin® works by relaxing the muscles that cause wrinkles. It blocks the signals from the nerves to the muscles. As a result, the targeted muscle cannot contract. KYBELLA® is a prescription medicine used in adults to improve the appearance and profile of moderate to severe fat below the chin (submental fat), also called “double chin.” It is a non-surgical injectable procedure for reducing moderate to severe fat on the upper neck, otherwise known as a “double chin.” The injection contains a naturally occurring molecule which eats away at fat. Using Kybella for treatment on areas other than the double chin is not FDA approved or recommended. Susanne has 25 years of healthcare experience, with the last 18 as an ARNP (Advanced Registered Nurse Practitioner), certified in Family Practice. She has worked extensively in the hospital, clinic, Urgent Care, and office settings and has successfully diagnosed and treated thousands of patients. From an ear infection, diabetes management, lesion removal or minor surgical procedures to fracture management and much more, Susanne’s many years of experience in caring for all types of medical problems is exactly what makes her so special. 360 MedSpas Medical Consulting services cover a myriad of questions, ailments, and problems. From acute or chronic medical problems, to improving your overall health and well-being, we are available to you at any time. Sclerotherapy is a treatment that involves simple injections of a solution into spider veins and smaller varicose veins. A “sclerosing” agent is injected into the vein that eventually causes the vein to shut down, shrink and be absorbed by the body. We offer day, evening and weekend appointments, all by appointment only. Now seeing clients at 360 MedSpas Aleya in Newton and 360 MedSpas in Ankeny and Spencer.